Bridal Chic – THE DEAF INSTITUTE MANCHESTER. The Deaf Institute is a fab place to hold a wedding reception. Its fun, its quirky and most definitely a cool place for your wedding guests to rock it out. Save the Date for our next wedding fayre taking place on May 16th 11am-3pm and see for yourself how fantastic this venue really is. 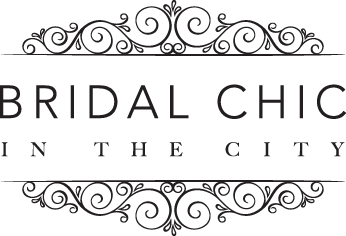 All the information below is taken from their website which you can view here and really gives you an idea of how this Manchester venue could rock your wedding reception. “The Deaf Institute is an independent fun loving bar & venue, spread across 3 floors, with 3 bars, a kitchen & a roof terrace. “In the main bar we have big sharing tables & leather booths, expect fresh & tasty food, a sweetie shop inspired cocktail list, frozen cocktails, local ales & craft beers served up to a rock ’n roll sound track. We arrived at 10am ready go. We always try to keep the team small and the shoot simple putting our twist on it as we go along. Working with Vicky is a dream, having visited her lovely little boutique I’m sure you brides will be in for a personalised treat. This statement taken from the website says it all…. ” Isla Jean Bridal has become known as the most exclusive bridal boutique north of Manchester. Covering two floors, Isla jean has two luxurious boudoirs in which you will try on some of the most amazing gowns by UK and international designers. Hand picking the finest from each of the collections, Isla Jean stocks the likes of Aire by Barcelona, Belle and Bunty, Cymbeline, Cabotine, Eliza Jane Howell, Maria Senvo, Stephanie Allin and Lou Lou alongside a carefully chosen selection of independently designed accessories. With a passion for all things wedding but not so much all the traditional way of weddings, Isla Jean loves getting to know you, your vision, your loves and your hates…Why is this important? Well because you need to be dressed in a dress that reflects you, your union with your husband to be and well, make you feel the very best of you on your special day.” Read more here. This absolute stunner below is called Carole by Eliza Jane Howell and the headdress was called Charlie by Pearl and co, but they have since ceased trading. The back of the dress is breathtaking don’t you agree ? These cakes absolutely take the bite. Made by Little Button Bakery we collaborated to bring a unique twist on “The Wedding Cake” instead bringing together a selection of “Wedding Fancies”. We gathered up our images on our pinterest board and this was the end result. I could totally see this at an actual wedding displayed like an afternoon tea or as the dessert after the wedding breakfast. Imagine having to choose from a selection of these!!!!! Little Button Bakery is based in Stockport, Cheshire. Kate makes beautiful, bespoke cakes, cupcakes, cake pops, cookies, favours and other sweet treats for all occasions – weddings, birthdays, anniversaries, baby showers, christenings and corporate events – createing your perfect cake! Every cake made is baked to order using only the highest quality ingredients. Offering a range of delicious flavours which can be tailored to meet your requirements. Gluten and dairy free diets can also be catered for. Contact by email on hello@littlebuttonbakery.co.uk or by telephone on 07736 847337 or 0161 3765049. Nicola Fahy Mua & Hair designed the look based on ss15 make up trends. We wanted to do a pop of colour to go with this cool Manchester city venue, such as your bright oranges and bronzed cheeks alongside plaited hair styled up and down. Nicola did a fantastic job and is highly recommended for your beauty needs. Mac cheeky bronze mineralize on cheeks. Kenny has been our resident photographer for sometime. A real down to earth guy with bags of experience he would be the perfect choice for your wedding photographer. He completely brought our brief to life. To give you some sort of idea my inspirations are the images on the left. The photoshoot image is on the right which I felt captured my thoughts exactly. Visit Kenny Brown Photography on Facebook or check out his website . To conclude here are the three scenes we produced from the shoot . If you have any questions or want to know more about our contributors please head over to any of our social media pages and ask away…..